Reflexive pronouns reiterate the subject, which may seem redundant, but in fact serves an important purpose: it indicates that the subject of the verb is performing that action on itself. In contrast, direct and indirect object pronouns indicate that the subject is performing the action on someone or something else. Je me lève à 8h. I get [myself] up at 8am. + The first and second person plural direct object pronouns have just one form each. In regard to reflexive pronouns, there’s no distinction between "himself," "herself," "itself," and "themselves" in French: use se for all of them. 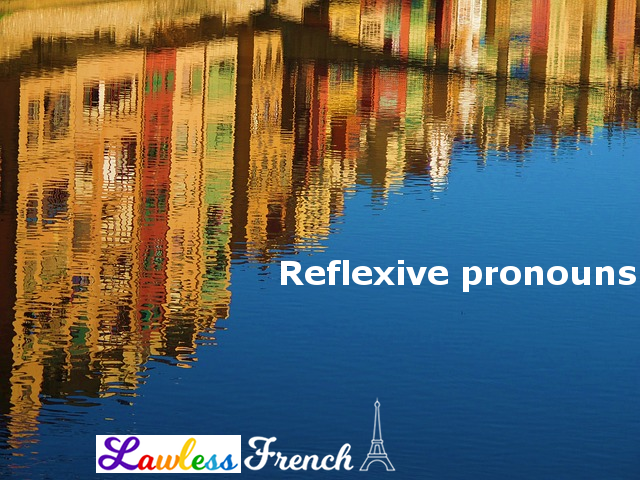 Reflexive pronouns are used only with pronominal verbs. Grammatically, they may be direct objects or indirect objects, depending on the verb and the sentence structure they are used in. 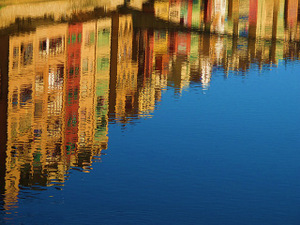 Like object pronouns, reflexive pronouns directly precede the verb. Vous vous voyez. You see each other. Nous nous sommes endormis. We fell asleep. Reflexive pronouns always have to agree with their subjects, with every tense, mood, and verb form. Future Je me lèverai tôt. I will get up early. Infinitive Vous allez vous voir. You’re going to see each other.